The tech industry is great at coming up with new words and acronyms. 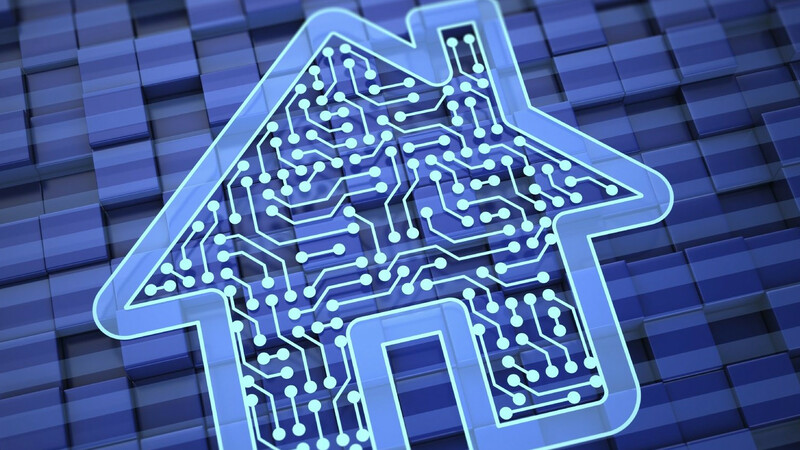 One of the hot terms right now is something called the “Internet of Things,” or IOT. While this term might sound incredibly vague, it does have a specific definition, and chances are you already know a bit about the Internet of Things, even if the term is new to you. Your fitness tracker is part of the IOT, for instance, and your smartphone can connect with many other connected devices. We’ve put together more info here to get you in the know on IOT. Broadly defined, IOT or the “Internet of Things” is the combination of low-cost, low-power processors, electronic sensors and/or wireless network capabilities that are being added to electrical devices. To put it in layman’s terms, IOT connects everyday objects to the Internet and to one another, providing users with smarter and more efficient electrical devices—everything from coffee makers to alarm clocks, refrigerators to door locks. As the IOT category expands and the technical innovations continue to pile up, it’s easy to imagine waking up to find your alarm clock reporting the number of hours of REM sleep you enjoyed, your coffee ready and waiting for you, your shower calibrating its water temperature to keep it just the way you like it on this unseasonably cool morning. Read all about the Jetsons-like future we might all be soon living here. According to an oft-cited Gartner research analysis, approximately five billion IOT devices will be on the market by the end of this year, rising to 25 billion by 2020. And that’s just the individual consumer experience. The implications on the business side are even more staggering, with predictions of roughly $5 trillion to be generated in business-to-business settings such as factories, mining and construction sites, and offices. Find out more about what IOT can do for business. The key to the IOT market expansion lies in the low cost of the technology involved. Like pretty much everything tech-related these days (smartwatches, 3-D printers, drones), the price of electronic goods keeps falling. While Bluetooth remains the most popular wireless connection used in wearable technology like fitness trackers, the introduction of ultra-low-cost, Wi-Fi enabled chips by Chinese company Espressif Systems has enabled various devices to work with a complete Wi-Fi network component for less than $2. Learn more about the nuts and bolts of IOT here. Of course, with every boom, challenges are inevitable. The first is that, with so many devices suddenly connecting to a Wi-Fi network, there’s no guarantee that they will be able to connect with one another. This problem of compatibility was dubbed by former Apple executive Jean-Louis Gassée as the Basket of Remotes problem, in that much the same way families will keep a basket full of remote controls for their entertainment devices, households will have literally hundreds of devices speaking different languages and be therefore unable to communicate with one another. With the rush to implant chips in so many devices, there’s currently little drive to develop a consistent set of standards to ensure that these devices operate in harmony. In a June 2015 article for The Atlantic, Ian Bogost went further, charging that it’s “time to admit that the Internet of Things is really just the colonization of formerly non-computational devices for no other reason than to bring them into the fold of computation.” As with any new products, consumer demand will end up driving the technologies that we really need, and those that may seem cool but don’t add value will fall by the wayside. Which leads to the second, more dismaying challenge of IOT: security. When it comes to tech-abetted invasions of privacy, drones may make all the headlines, but that’s nothing compared to the Internet-connected monitoring that those hundreds of IOT devices are capable of conducting, 24 hours a day. On top of that, there’s the problem of security at the business level, for the dependence on IOT poses serious risks of systemic breaches. A cybersecurity hacker could potentially disrupt an IOT device to create literally life-threatening problems, disrupting machine-controlled systems in hospitals or traffic systems or electric companies.